After the FCC filing for the new Nexus 7 became public this morning, the device as model number K009 has been the talk of tech world (well, outside of Kanye’s album leaking early). A Bluetooth SIG filing for it was discovered, plus most of the specs for the new 7-inch Google slate have all but been confirmed now, including LTE support. And speaking of LTE support, while doing some extra digging in the FCC report, Brian Klug of Anandtech discovered something that we haven’t seen often if ever in a new tablet or smartphone. We’re talking multi-band LTE support for Verizon, AT&T, and T-Mobile. The test reports show that the FCC tested the new Nexus 7 on LTE bands 2, 4, 5, 13, and 17. For those who don’t have U.S. LTE bands memorized, know that all three carriers have at least some band 4 (AWS) LTE spectrum, however that’s where T-Mobile plans to make most of their magic happen. The majority of Verizon’s LTE network runs through band 13, while AT&T has setup shop on band 17. 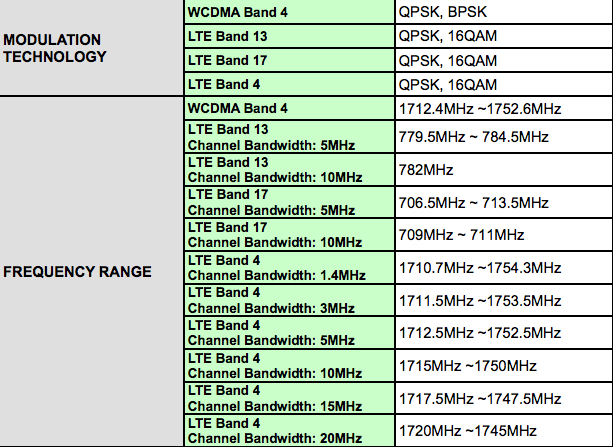 Sprint’s LTE network uses band 25, which did not make the list in this filing. So what does this mean? Well, we really don’t know at this point. With the original Nexus 7, we saw three models: WiFi only, AT&T HSPA+, and T-Mobile HSPA+. This new Nexus 7 appears to run on GSM850 and 1900 when not using LTE, which are typically referred to as AT&T’s GSM bands, though T-Mobile is refarming their 1900 for HSPA+. Here are the frequencies numbers that each band was tested at. The 779-784MHz for band 13 is spot on for Verizon, while the low 700s is where AT&T tends to operate their LTE network on band 17. While I’m no FCC expert, this looks like a model made for a connection with AT&T, but the parts or building blocks are certainly there for Google to sell models that work on multiple LTE networks. I don’t want to go as far as suggesting that we’re looking at a true multi-band LTE ready tablet, but maybe.